We're a full-service general contractor specializing in quality insurance repairs and property restoration in Louisville, KY.
Discovering mold in any area of your home is problematic. It’s important to have a mold removal professional inspect the severity of the problem quickly so that you can avoid dealing with widespread damage and potential health concerns. One of the areas where it’s particularly prevalent is in the laundry room. 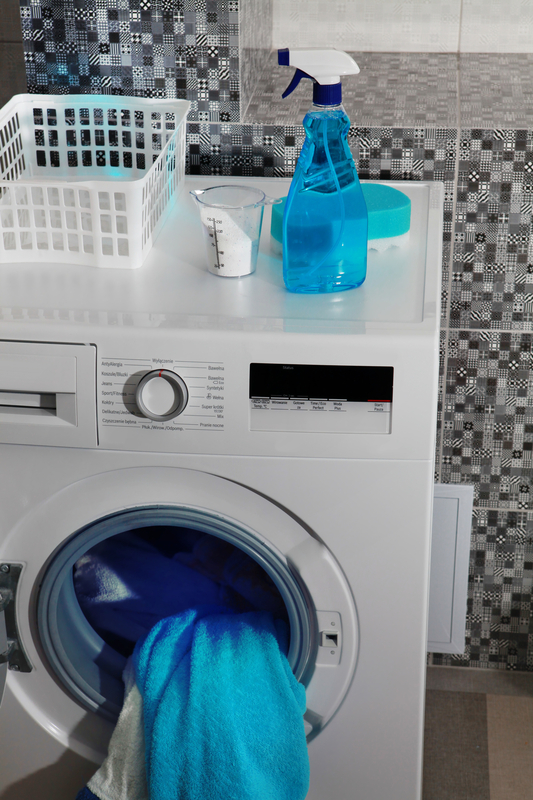 Don’t allow moisture to collect on the washer and dryer. Take the time to wipe them down routinely so that they’re as dry as possible. You can also leave the washer door open to dry the inside more quickly. Always clean the dryer’s lint trap after every use so that moisture can easily escape without running into debris along the way. Mold thrives in humid conditions, and it can very easily spread from surface to surface. This is particularly problematic if it happens behind the appliances, where you aren’t likely to discover it for a while. You can take steps to reduce humidity levels by installing a dehumidifier, which may help balance the air and contribute to a healthier environment. Although it may not seem like a big deal to leave your wet laundry in the washer for a while, it can actually be detrimental if you are concerned about mold. The contaminant thrives in moist environments, and it won’t be long before the machine’s interior develops a telltale musty odor. You risk mold spore development if you don’t dry the load promptly. Every few weeks, take a look around the washer and dryer for signs of a problem. Do you notice any wet spots on the walls or near the floor? Check the washing machine’s hose for possible leaks, and make sure that all connections are tightly attached to prevent spillage. Be even more vigilant about this step if your laundry machine is in the basement, where moisture intrusion is common. Are you concerned about the possibility of mold in your laundry room? Turn to the experts at Hudepohl Restoration in Louisville, KY, and Cincinnati, OH. The mold removal professionals offer more than 30 years of industry experience and are trained to tackle even the most stubborn outbreaks. That’s invaluable when you’re dealing with water damage and want to prevent mold from spreading and causing even more destruction. You can visit the company online to find out how they get rid of mold or give them a call at (502) 873-5744.